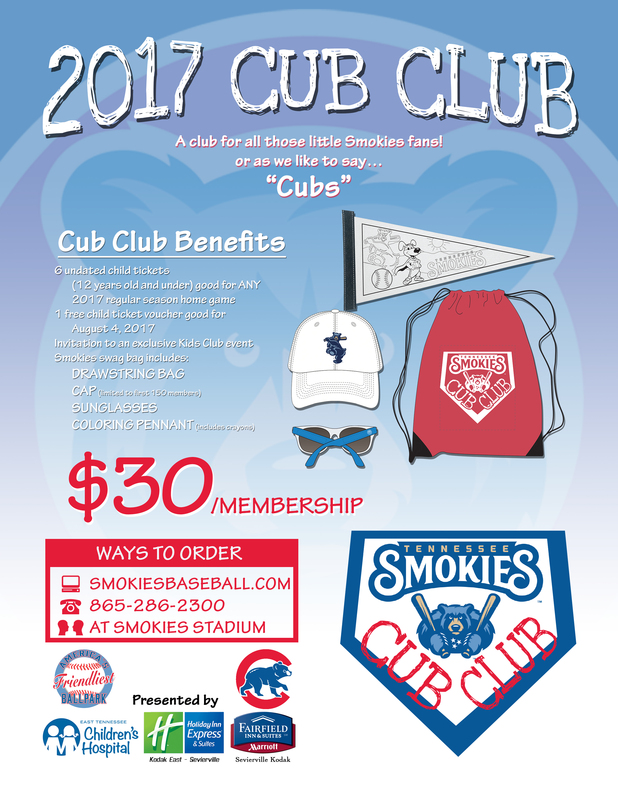 A club for all those little Smokies fans, or as we like to say… "Cubs"! Includes 6 child tickets, a bonus child ticket to Kids Takeover Night on August 4, and a swag bag of Smokies merchandise. Just $30/membership!